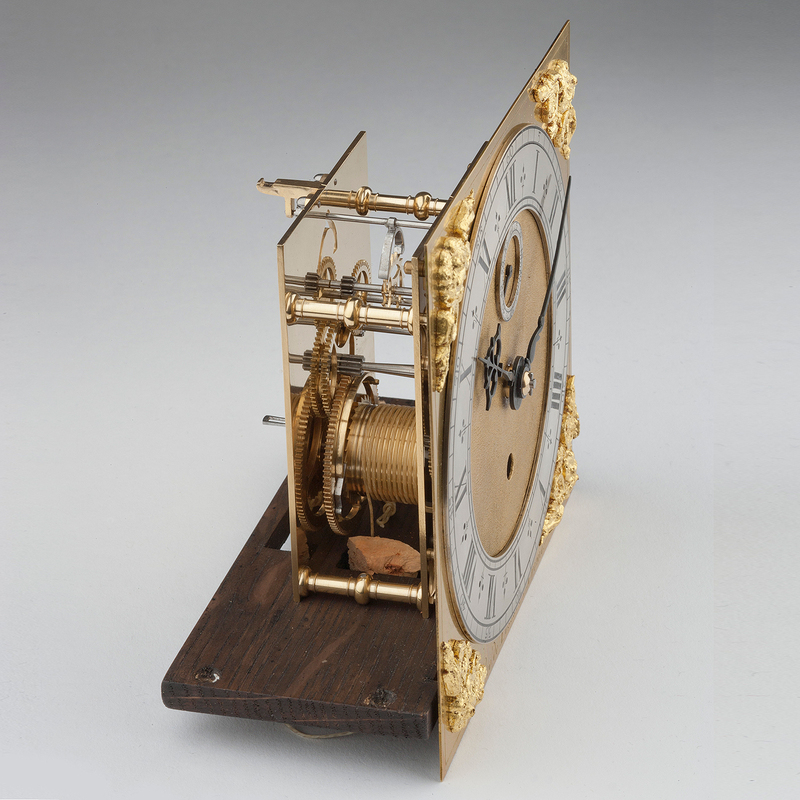 This unique and exquisite little clock, made by George and Cornelia de Fossard, is a truly miniature longcase timepiece. 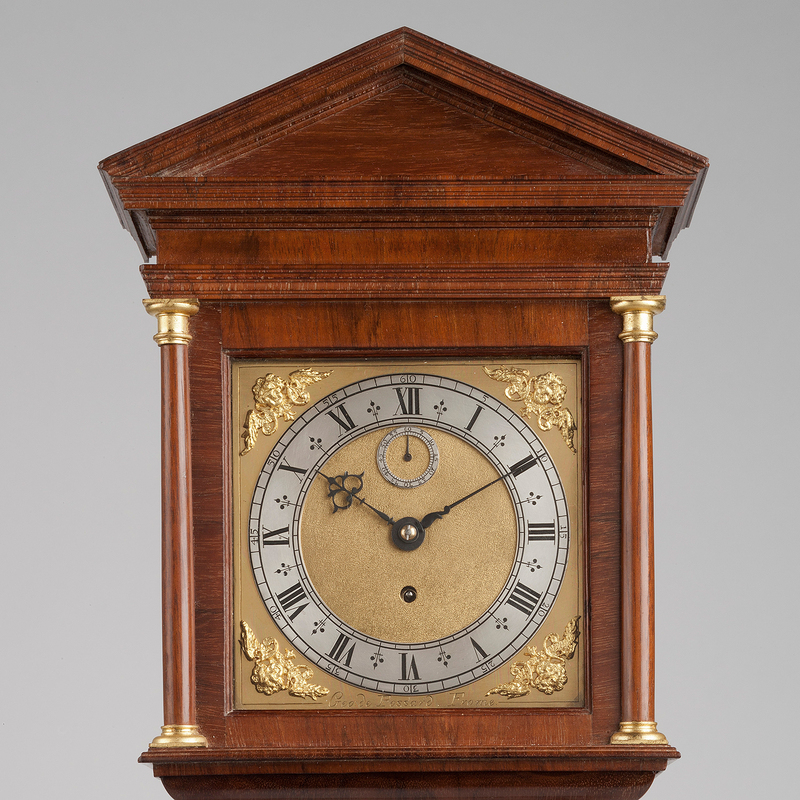 Standing a fraction over a metre tall, the case is an exact copy of a full size clock by Johannes Fromanteel of about 1680. 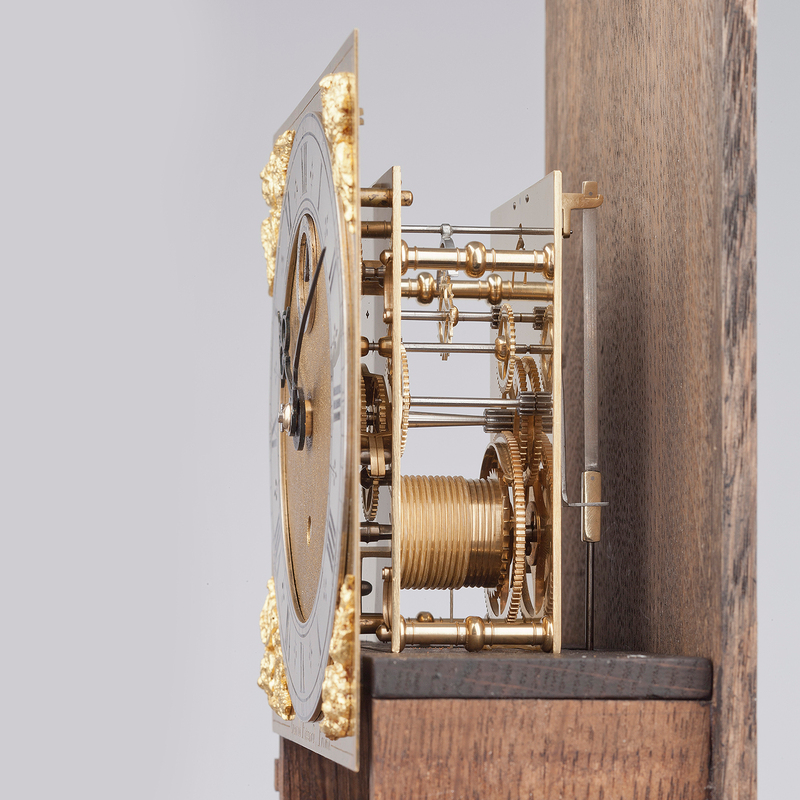 Cornelia has meticulously replicated the beautiful proportions and details of the Fromanteel case to produce this stunning miniature. 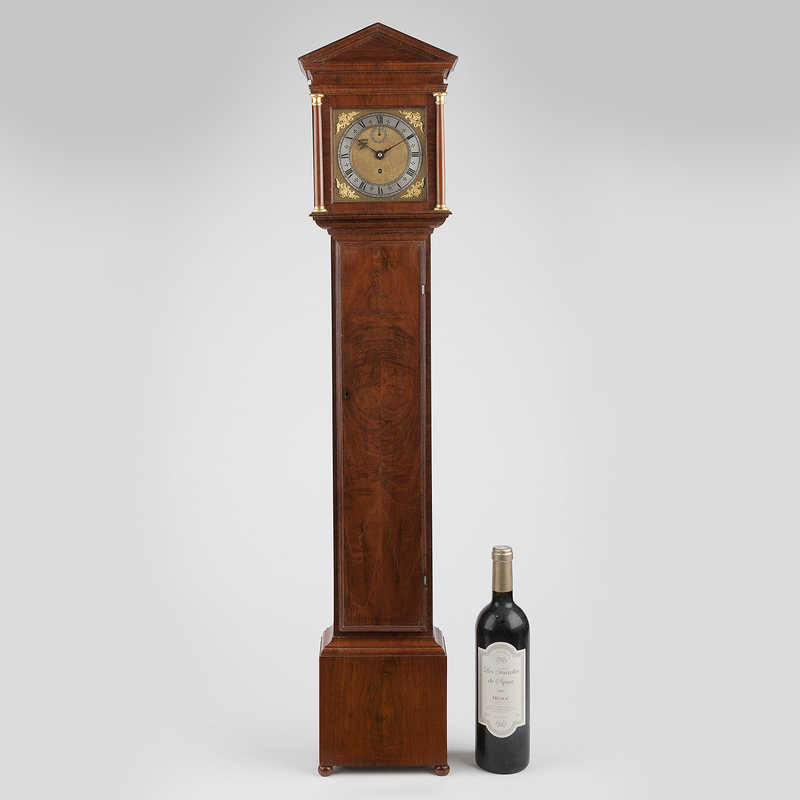 Timber selection was an important part of this process and Cornelia has used an unusual South American walnut for the veneers and show wood. 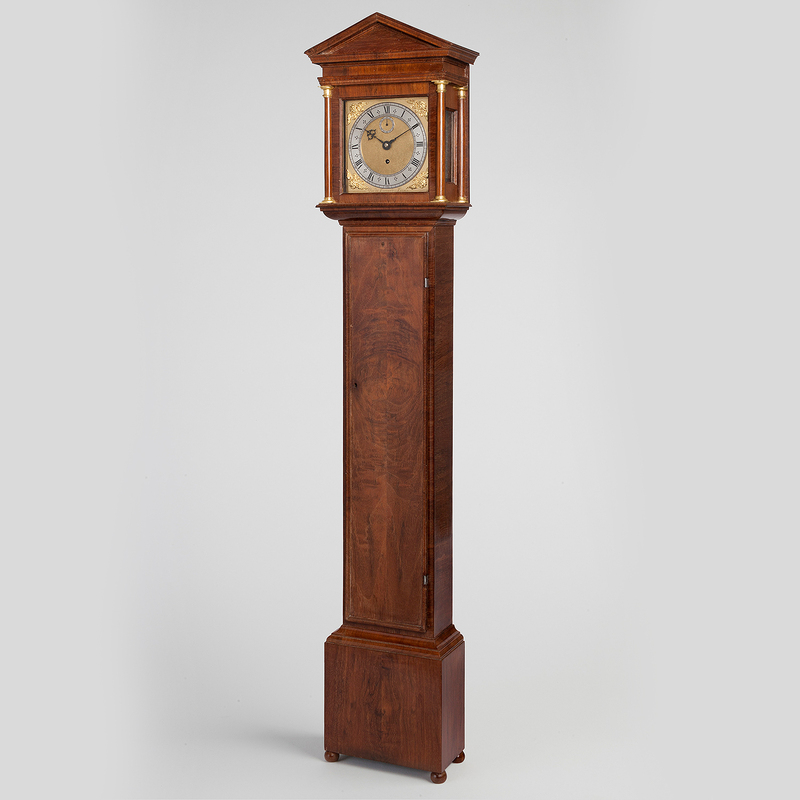 This has a particularly fine figuring which works perfectly with the small proportions of the case and looks much like the English walnut veneers of the original, except on a smaller scale. 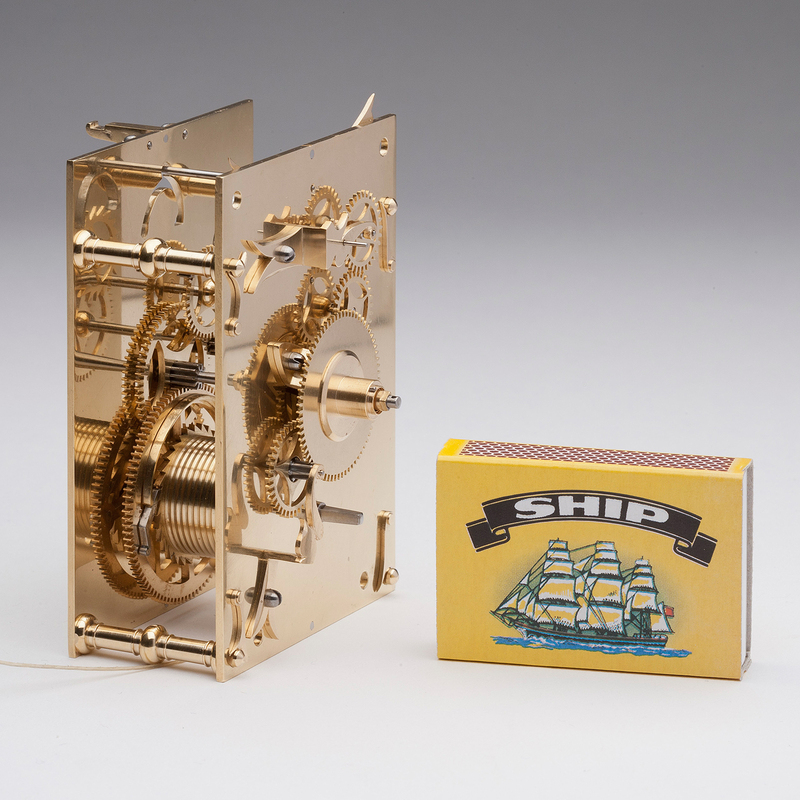 The case is completed with a traditional wax finish, a long process which involves the building up of many layers of wax, but which gives a much softer and warmer look than is possible with other more widely used techniques. 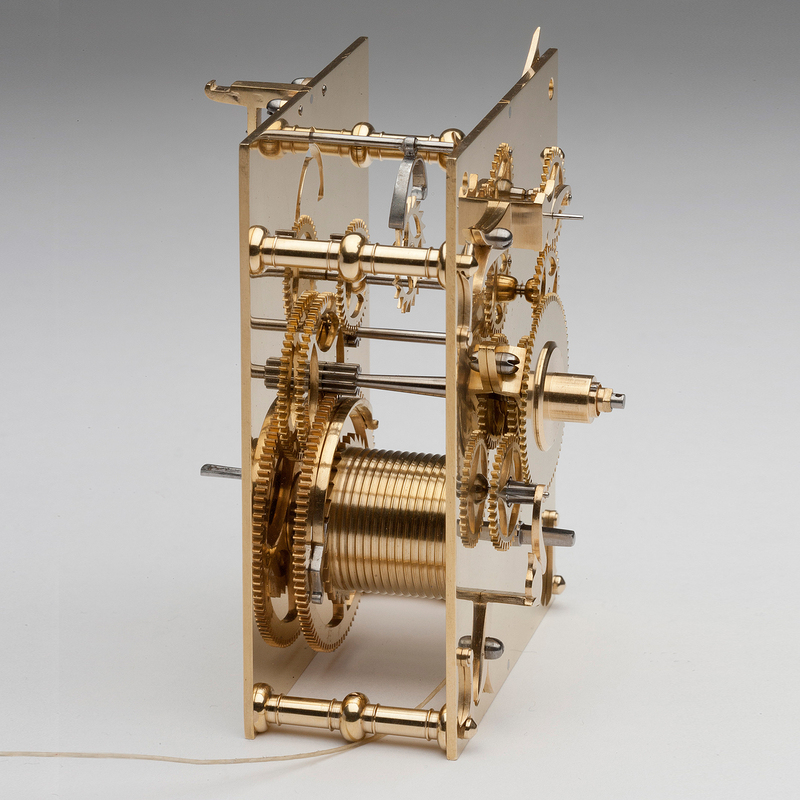 The movement, too, is a true half size miniature, being weight driven, of 8 day duration, with an anchor escapement and a long pendulum. 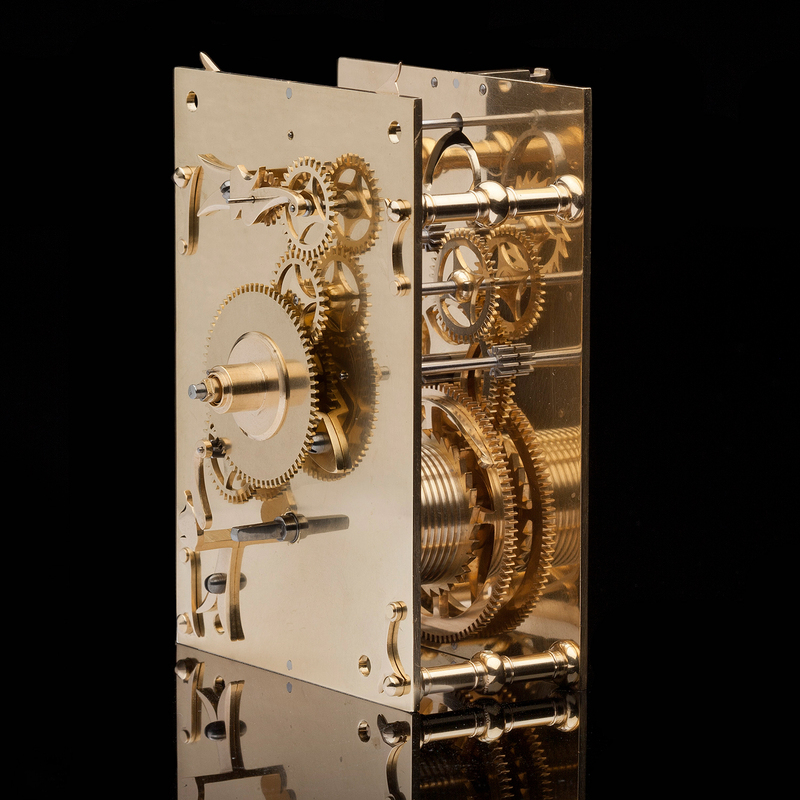 Though not possible to replicate the Fromanteel movement exactly, due to the problems of scaling a pendulum, George has maintained many features of the original clock such as the style of the pillars, latches and crossings and the overall proportions of the plates. 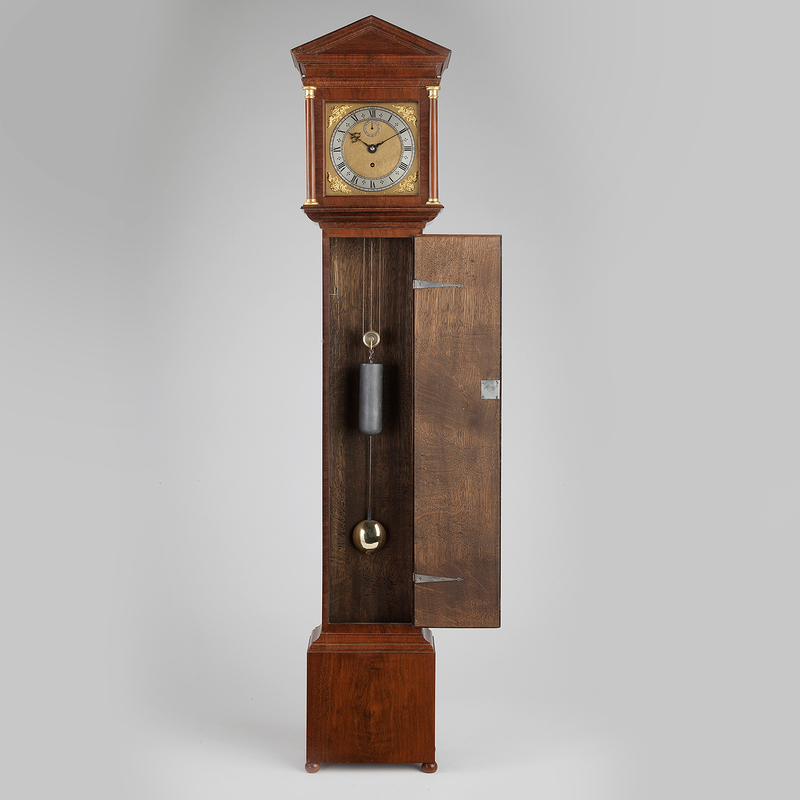 Other small but important features have also been copied, such as the case lock, hinges and winding key, and upon opening the case door, one discovers the pendulum swinging exactly where one would expect to find it on a full sized longcase clock. 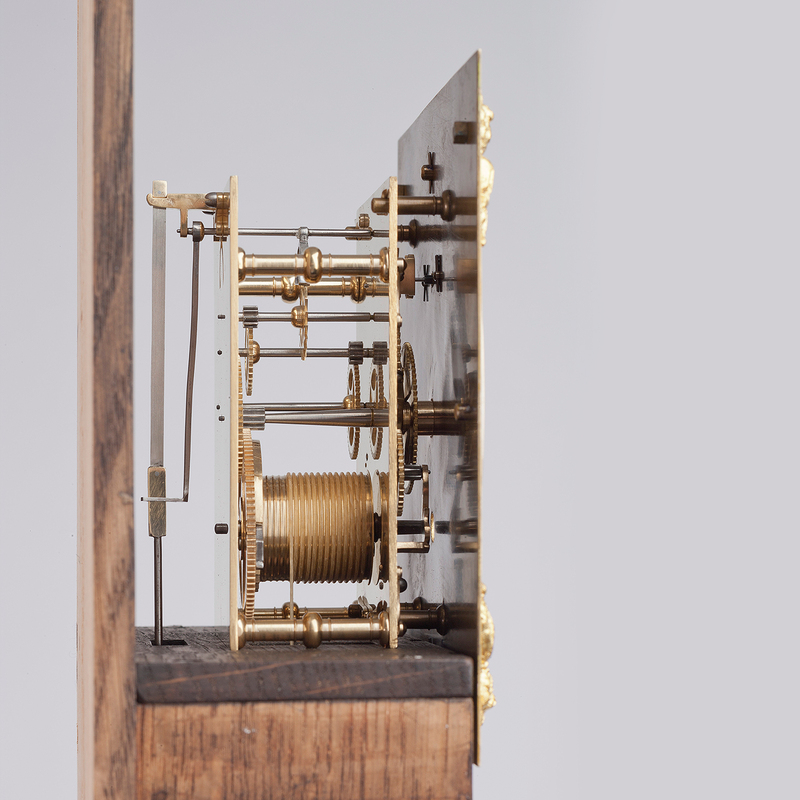 The Miniature Fromanteel is available to purchase for £20,000. 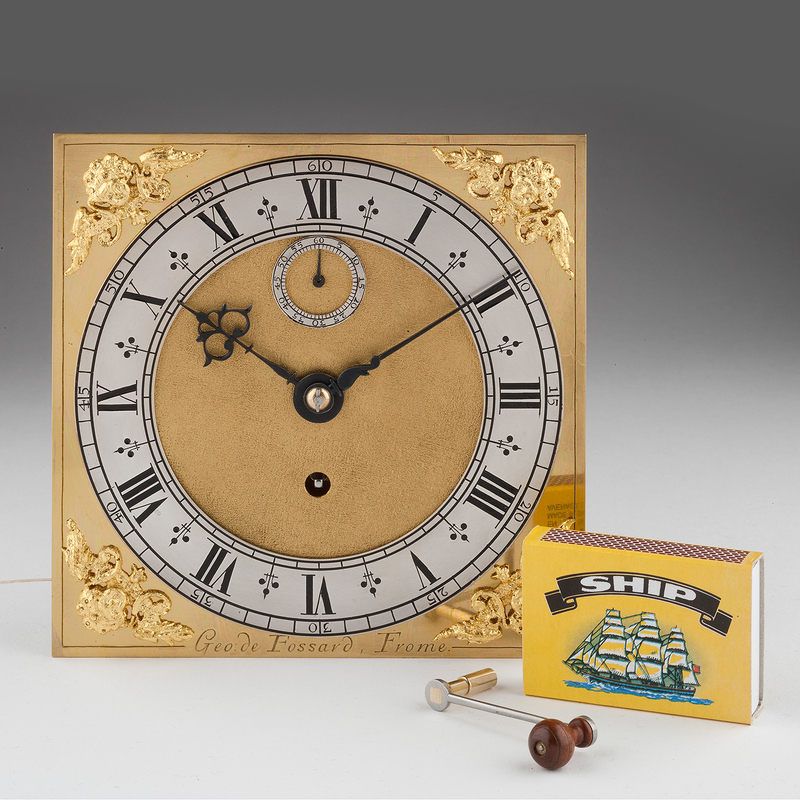 If you are interested in this clock, or would like to discuss the possibility of a commission with us, please do not hesitate to contact us.